Archmage Malachai Vision once wrote that: "nothing is more pleasing to my perverse sense of nature than to hide my property in ways that few would ever discover. Part of that ideology comes from the concept of hindering a party that has discovered a ancient tomb. Whilst the players are investigating it, they happen across a room bereft of anything but a couple coins and simply move on, ignoring the skeleton or parts of laying haphazardly around." "Thus, over time, I developed a complex magic process to effect the bones on a subtle scale, and to allow me to place potions and even scrolls inside it". "Any bone will do, from the size of a halfling up to even a great wyrm. 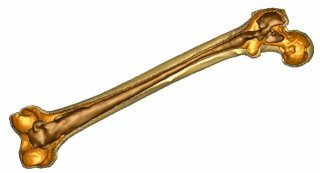 However the amount of marrow that the bone has will greatly effect the amount of liquid that can be placed inside once the arcane magic has been woven into it. I lean towards human size because; of their immediate access, and they are the most common that are found in crypts/dungeons. However, for the curious, it isn't above my nature to endeavor to collect the bones of dwarves and elves, so that they too can be placed into deep dungeons where they may well have lived". "The process takes seven days, and the bone must not have been shattered nor broken in half. Once it passes that inspection, the marrow is drawn out by using the spell Marrow Dust. A small canticle of little consequence that when cast changes the marrow to dust, and can be quickly removed. The double benefit of this spell is the bone can be quickly shaken in full light, and if any dust falls off the bone, then a mage will know the bone has a small hole or crack that needs to be filled. The dust is collected and used in step four". "Once the bone has had the marrow removed, the next step is to prepare the sealing magic. This spell, known as Marrow Weld, will in effect fill any small gaps/cracks or holes found after Marrow Dust has been cast. It creates a small inner liner, thus protecting any liquid or scroll that is placed inside". "Next, a stopper needs to be created that will not only serve as a seal for the top, but also will allow the bone to pass normal inspection. 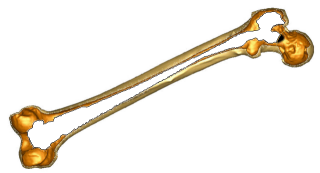 This uses the spell Marrow Seal to create a small cut around one end of the bone, where the liquid can be added. On the human femur, this area is known as the Head". "A small rune is then carved onto this cut, and then the bone is placed in direct moonlight for 1 hour, and sprinkled with the marrow dust of the bone to seal the magic in place. After that, the bone may have any liquid other than acid placed in it or even a small scroll. Once satisfied with the new contents, the stopper is replaced and a magical word is spoken. This seals the bone, and completes the process". To spot a MageBone, a roll vs. Intelligence at +4 must be made. 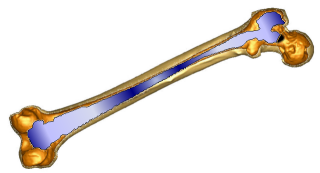 If a player successfully identifies a MageBone, they'll notice a small rune carved in the bone at one end. By tracing the rune, the endcap shifts ever so slightly and may be removed to reveal the contents within. Failure denotes a simple weathered bone. Other varieties require a phrase, a spell component, a knock spell and even a drop of blood to open.